This article explains ways to increase productivity at work. Use these tips for yourself or share them with colleagues to boost productivity at the office. Ubuntu 14.04's package manager (apt) installs PHP 5.5 by default. Although Drupal 7 core works on PHP 5.5, some contributed modules may not. In that case, you may either need to fix the module or downgrade to a lower version of PHP. In this article, we will show you how to install PHP 5.3.29 with PHP-FPM from source on Ubuntu 14.04. On top of this, we will install Nginx and MySQL to have a working Drupal 7 website. This article discusses what is testing, its benefits and origins. It also discusses the types of testing involved in organizations. 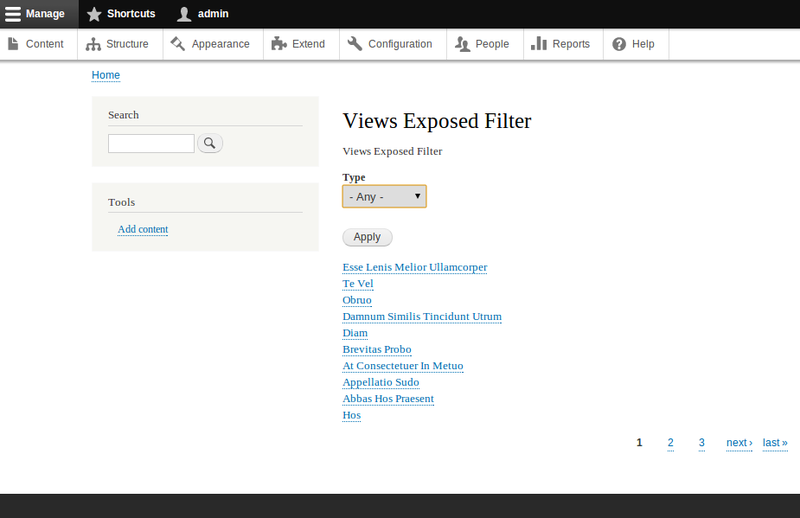 The Views Exposed Filter functionality helps users select or filter data on the display. In our example, we are going to cover the basic steps involved to use the Views Exposed Filter. For achieving this, we need to do the following steps. In a recent project, I had the opportunity to explore the world of REST web services with Drupal 7. It was a really good experience. I used a couple of modules such as "Services" and "Services Views". It took quite some time to configure the settings and end points to get it in views display. This article sheds light on an important question - What is SaaS? This article also discusses SaaS's origins, its working model, its benefits and the different types associated with it. The primary goal of Drupal Pathauto module is to automatically generate aliases for all kinds of content types. These aliases are based on configurable rules that can be set up by you. This module will help you give the URLs on your website a clearer structure and easier readability. A clear URL will also ensure your link gets noticed by search engines. If you have experience working with Drupal, then you may have already dealt with Pathauto. This article is targeted at newbies who haven’t worked with this module yet. Why is Drupal Pathauto important? This article covers the basics of cloud computing. Go through it to learn more about what this revolutionary technology stands for. Featured here are some of the best Drupal themes for businesses. If you are planning to launch a Drupal-powered site, then these themes will come in handy! This article features 10 tips to help entrepreneurs in 2015. Go through these tips to take your business to a whole new level.